Product Description: Classic Baseball cap with adjustable Velcro Back closure. This Baseball cap fits all head sizes. Various colors to choose from. This Baseball cap can mix any colors that you decide to wear. Lightweight and suitable for indoor and outdoor. Great fit for any Daily outfits. 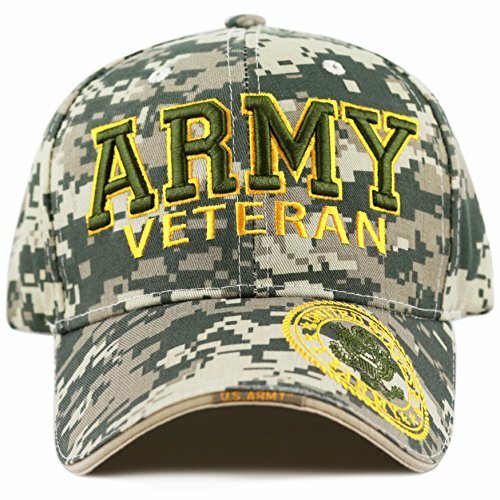 Details Description: Item Type: Baseball Caps Pattern Type: Geometric Department Name: Adult Style: Casual Gender: Unisex Strap Type: Adjustable Hat Size: One Size Model Number: snapback Product categories: Camouflage Baseball Caps Camouflage hat women: Yes Army camouflage hat: Yes Hunting camo baseball cap: Yes Plain camo hats: Yes blank camo hats: Yes Style: Casual Peak length: 8cm Hat height: 10cm Hat band: 58cm-64cm(Adjustable) Shipping: If item ships from and sold by UltraKeyUS. The item will be shipped from China and it need 1-3 weeks to deliver. Our product is good with reasonable price and we believe you will worth it.so please wait for it patiently! About Us | UltraKey Store UltraKey Store is a global online fashion retailer and offers products such as clothing, accessories, and jewelries. As an innovative B2C platform, we are aimed at making your life wonderful and fun. During the past years, we have tried our best to serve our customers with heart and soul. 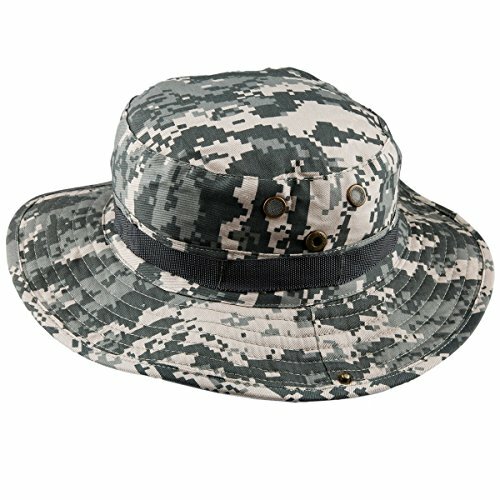 ACU Digital Camouflage Military Wide Brim Jungle Bucket Fishing Camping Boonie Hat with Chin Strap - Our boonie hats, also known as bucket hats, sun hats, fishing hats or jungle hats, are the perfect answer to beating the heat this summer. Great for everything from gardening to golfing! You can even look fly while fly fishing! 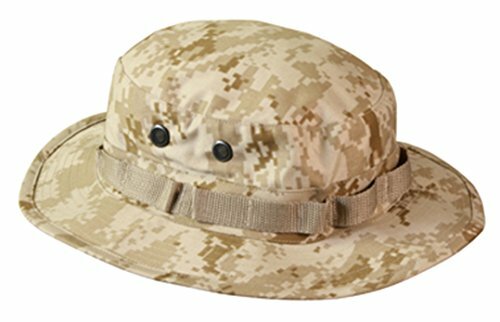 Our boonie hats are made from a comfortable poly/cotton blend fabric. They are designed with ventilation holes to reduce the build up of heat while the soft, flexible 2.5 inch wide brim blocks out the sun. An adjustable chin strap ensures that you will never loose your boonie while hiking, camping or boating. The soft material can be rolled up for the to provide handy, collapsible, packable, portable shade anywhere you go. We offer a wide range of colors and patterns to match your style. 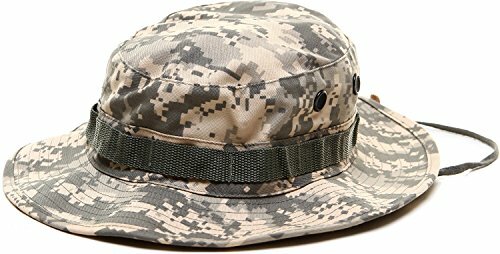 Men's military camo camouflage rip-stop boonie hat,jungle cao hat,perfect for outdoor or sports activities,such as fishing,hiking,camping,yardwork and sailing etc.Vent holes on either side allow for air circulation while an adjustable chin strap ensures a secure fit.Easy to match,you can pair this cap with military, tactical, outdoor, survival clothing. | From | To | Price per Piece | | 1 | 11 | Piece | $5.00 | | 12 | + | Piece | $4.50 | The price will be calculated automatically based on how many items you purchase. 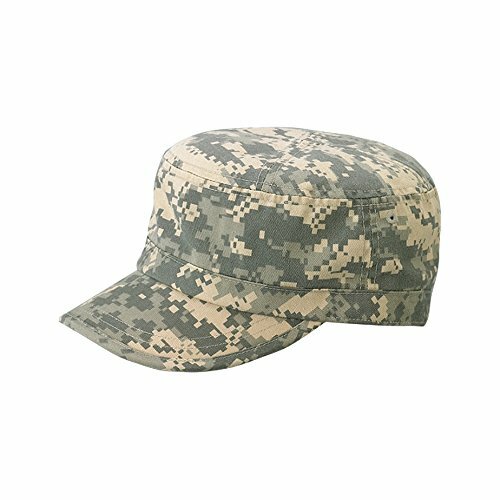 Enzyme Washed Cotton Army Cadet Castro Hats with a faded look and self-fabric strap with velcro adjustable closure. One size fits most. 60% Cotton / 40% Polyester. Made in China. Its time you were told. 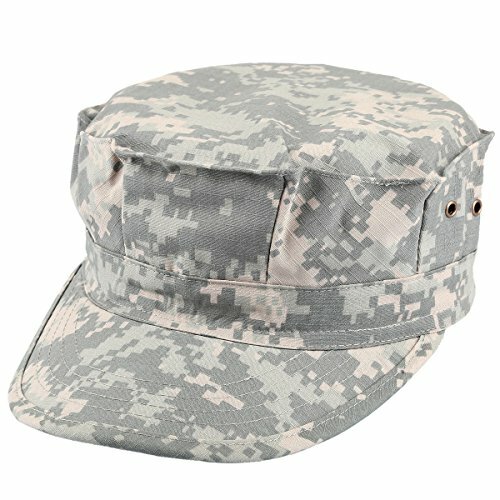 You dont have to sign up to get that hip military look so popular today. Youll find the perfect blend of army style with urban flare in our Digital Green Army cap. 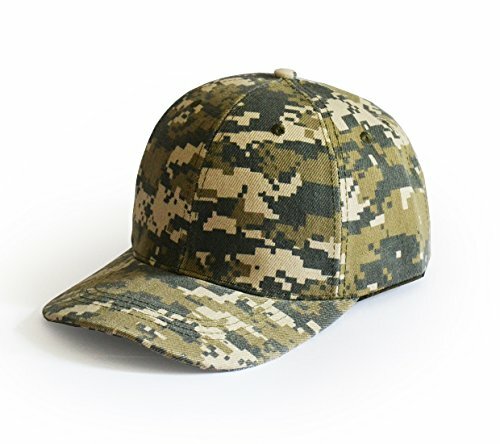 Unlike the traditional camouflage pattern, this hats boasts are more modern and techno version. 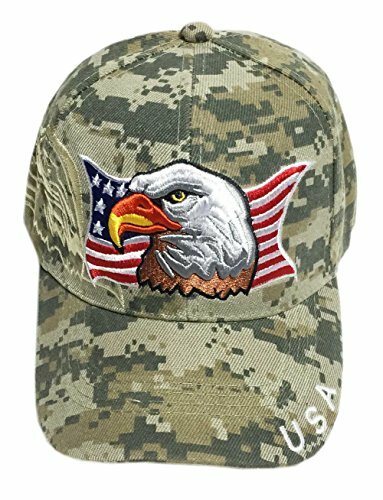 Made from 60% cotton/40% polyester, this plush and soft hat features 2 ½ roomy crown and a 2 ½ long faded bill, to give it that worn and washed out look. Designed to fit almost any head, this hat also has an adjustable strap tab in the back, just in case you need a little extra room, and perhaps to give it a more snug appearance. Whether youre head is shaved or not, this look is one that will have them staring in attention!60% cotton/40% polyester. One size fits most with Adjustable Strap Closure(upto 7 3/8). Front bill measures 2 1/2" long. Faded Out Look. Crown measures 2 1/2" High. Same Color Under Bill. Soft Material Hand wash only. Imported. Available in 7 colors: Camo. City, Digital Camo, Lilac, New Desert, Pink and Sky Blue. 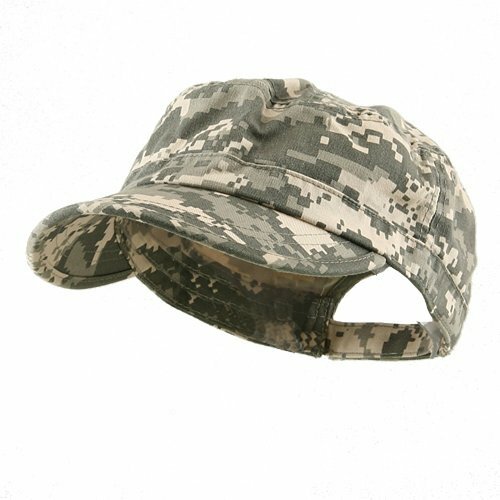 Great quality unisex military army cadet camouflage hat, ideal for outdoor sports as baseball, beach volleyball, jungle adventure, live CS, wargames etc. One size to fit almost anyone. 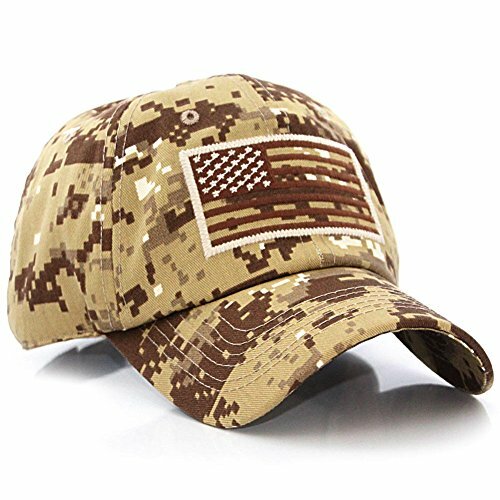 Copyright © Wholesalion.com 2019 - The Best Prices On Army Digital Camo Hat Online.